A software update is now available that makes several adjustments to enhance the overall experience. The software version after this update will be 4.0, as shown in this image. 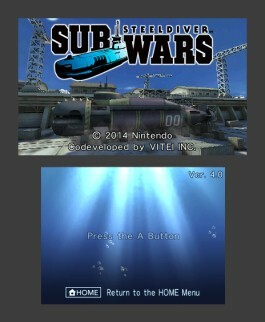 Please note: this update is required in order to play Steel Diver: Sub Wars in online multiplayer. In addition, if you do not update to version 4.0, it will not be possible to play in Local Play with other players who have upgraded to version 4.0.